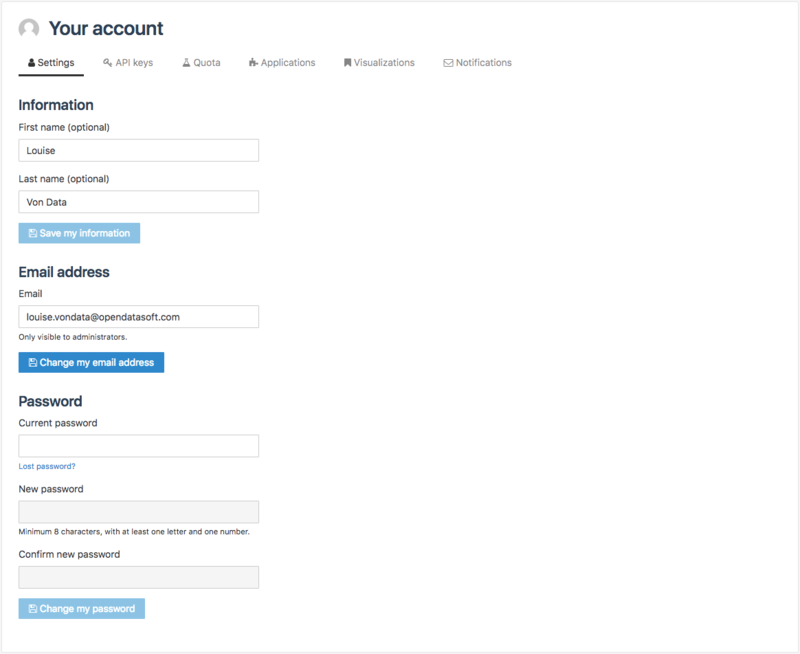 From the Settings tab of their account, authenticated users have the possibility to modify their name, email address and password. (optional) In the Information area, write the new first name in the related textbox. (optional) Still in the Information area, write a new last name in the related textbox. Click on the Save my information button. In the Email address area, write the new email address in the related textbox. Click on the Change my email address button. In the Password area, write the current password in the related textbox. Still in the Password area, write the new password in the related textbox. Still in the Password area, confirm the new password in the related textbox. Click on the Change my password button.